Smart LTE, the first real 4G service in the Philippines is now more affordable for the introduction of Plan 1749. This is under the flagship of "Internet for All" program of the country's most reliable network. 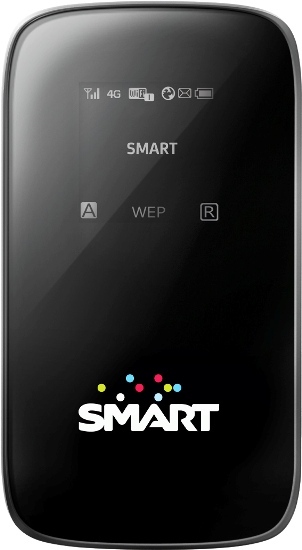 Smart also offers new LTE device, the new LTE Pocket WiFi that will serve as modem and provide LTE reception for the connected devices. Initially, Smart offers LTE for Plan 3500 with no data restriction up to October 25, 2012. “Smart LTE Plan 1749 gives Filipinos a choice. This is a true LTE service which runs on true LTE speeds,” said Smart Broadband Internet Data Services Head Lloyd Manaloto. Smart also announced that it's Unlimited service for LTE is extended up to January 31, 2013. Data caps of 10GB and 21GB shall take effect thereafter for Plan 1749 and Plan 3500, respectively. “New subscribers also have the option upgrade to a Smart LTE Pocket WiFi device. Simply pay a one-time fee of P2,000 and you can super-charge all your devices with the power of Smart LTE,” Manaloto said. “LTE for All—with the Smart LTE Pocket WiFi, any WiFi-capable device can now be an LTE powered device,” Manaloto said. Smart is the Philippines’ first LTE operator with commercially-available LTE services. Metro Manila enjoys the benefits of more LTE powered base stations than it's competitor. To know more about Smart LTE, visit www.smart.com.ph/lte or call 1-800-10-LIVMORE (1-800-10-5486673).